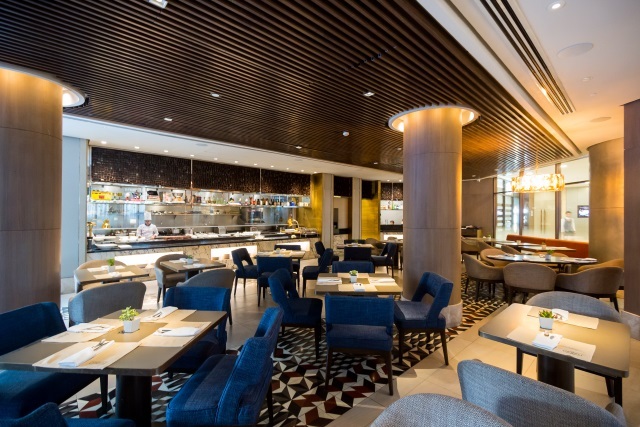 Myron's is a casual dining restaurant located in Ascott Makati. Myron's serves local Filipino, Asian and Western dishes, and is best known for its steaks. 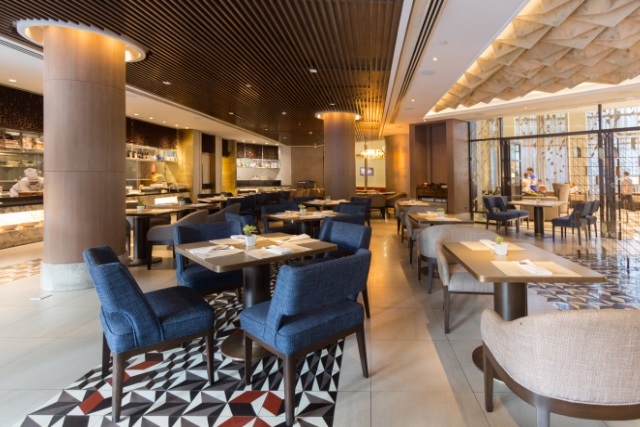 Myron's also serves as the breakfast venue for guests staying at the Ascott Makati. Myron's is accessible from the main lobby of Ascott Makati and is open to both checked-in and non-staying guests. The restaurant offers comfortable seating and a relaxed ambiance to its dining guests. The restaurant also has two private dining rooms and an al fresco dining area. Myron's is open daily from 6:00am to 10:30pm and serves breakfast buffet and all-day a la carte dining. Myron's also serves room service to guests checked-in at Ascott Makati. In-room dining menu includes sandwiches, salads, pasta, pizza and a wide selection of Filipino, Asian and Western dishes. 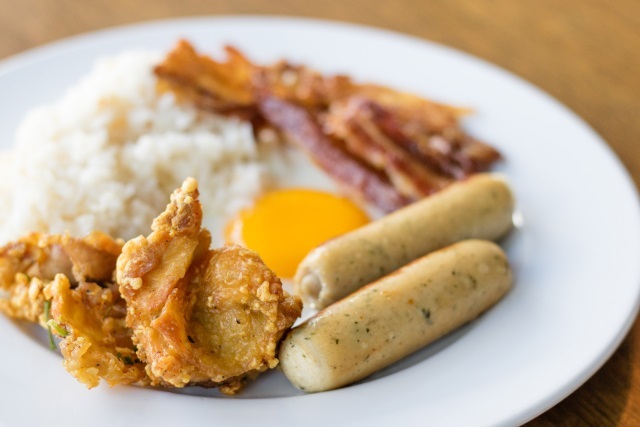 Guests staying at Ascott Makati enjoy daily buffet breakfast for up to two persons at Myron's. Guests who booked a two-bedroom unit will receive complimentary buffet breakfast for up to four persons while a three-bedroom unit comes with daily buffet breakfast for up to six persons. 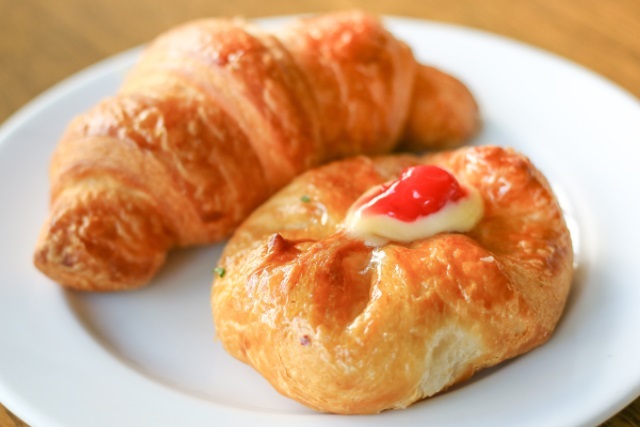 The Continental Section of the buffet offers a wide spread of freshly baked breads and pastries, including flaky and buttery croissants and delectable danish pastries. There's also cheeses and cold cuts, salads, fresh fruits, cereals and yogurts. The Live Cooking Section features an egg station and a noodle station. Guests can order fried or boiled eggs as well as omelettes which they can customize with their choice of ingredients. 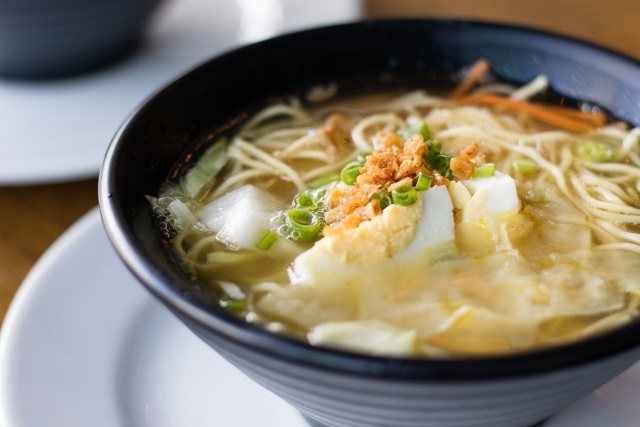 There is also a variety of noodles and broths available which can then be customized with condiments. The Mains Section features local Filipino, Asian and Western hot dishes. There is steamed and fried rice to pair your choice of meat dishes while pasta and potatoes would go well with sausages, bacon and roasted vegetables. 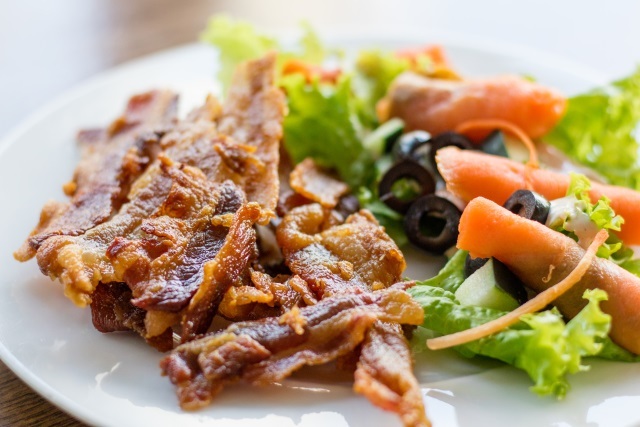 Myron's is also very popular for the super crispy bacon they serve during breakfast. The buffet breakfast at Myron's is available daily from 6:00am to 10:00am (until 11:00am during Saturdays, Sundays and holidays). 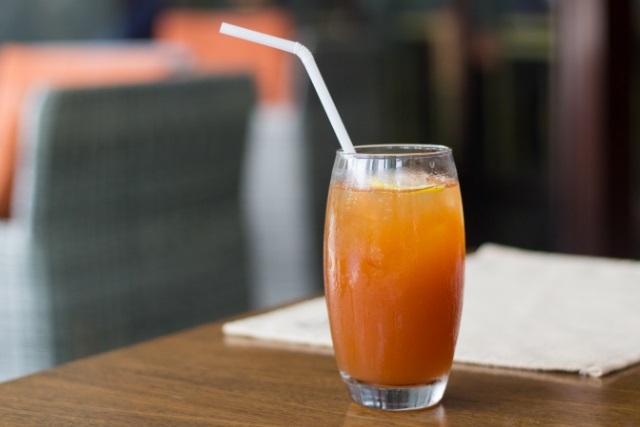 Walk-in guests are also welcome to dine for only P1,250 nett per person and already includes free-flowing coffee, tea and juices. Myron's is also a popular dining place during lunch and dinner. 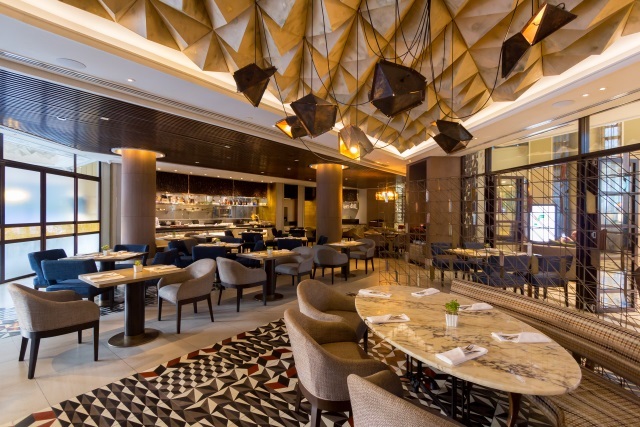 Most of the dining guests are business people working in Makati Central Business District. Myron's is also a popular go-to place for steaks. 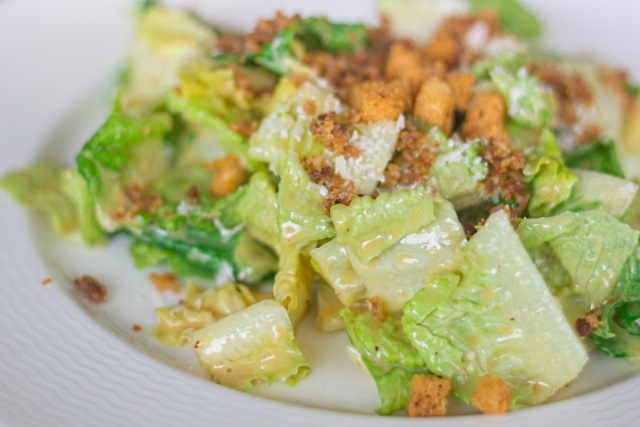 Any regular diner would say that a meal at Myron's should always start with Caesar Salad done Tableside. The dressing is made from scratch using the freshest ingredients from eggs to mustard and from anchovies to Parmesan cheese. 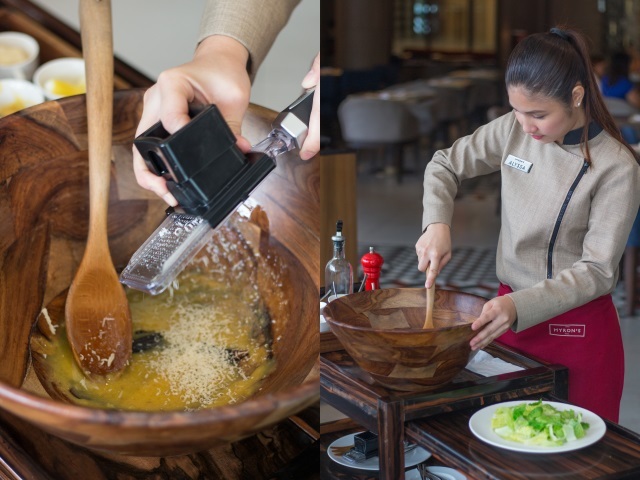 Using a wooden bowl and spatula to mix the salad, they make sure that the taste is not compromised. 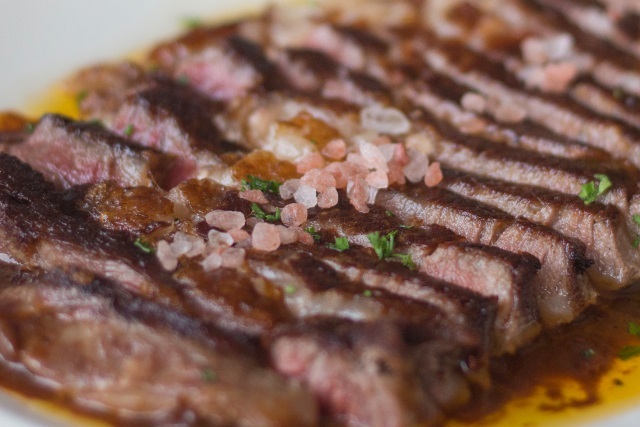 For steak, our most recommended is The President. Made of 500 grams U.S. Certified Angus Beef, the meat was super tender and juicy and the crust was crunchy and perfectly salted. Don't let those juices go to waste. The steak comes with bread on the side which you can dip in the steak juices. The steak also comes with roasted mushrooms and French string beans. You can also pair the steak with Creamed Spinach or Creamed Corn, or yes even with Myron's Rice. Myron's menu also has a wide selection of drinks ranging from juices, sodas and cocktails. At night, Myron's transforms to an intimate dining space suitable for romantic dinners. 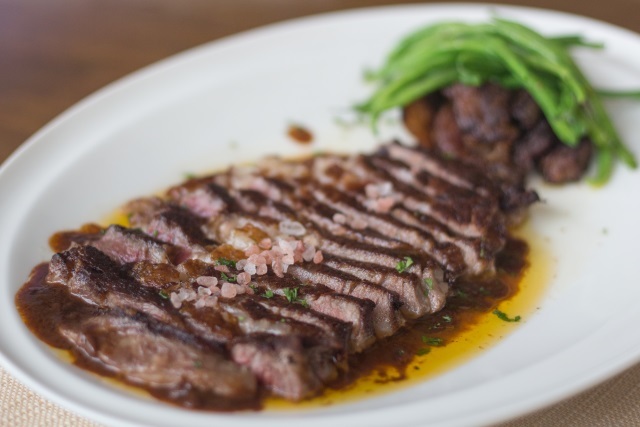 During my recent stay at Ascott Makati, I decided to just dine at Myron's for dinner. 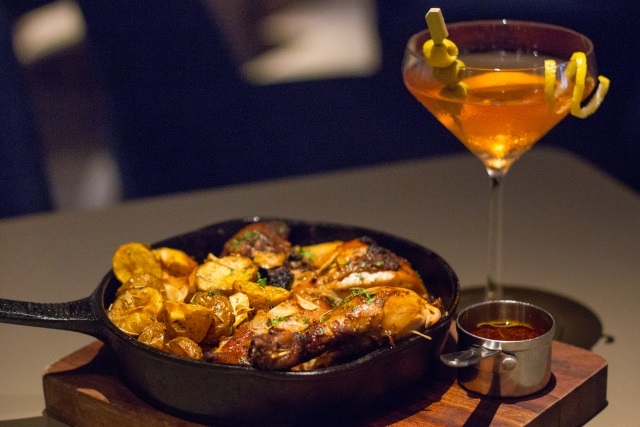 I was craving for chicken and I was recommended the Roast Iberian Half Chicken which is served with roasted baby potatoes. I was also in the mood for cocktails so I asked for their most colorful drink and they recommended me the Marianito, which actually went well with my chicken dish. Aside from cocktails, Myron's also serves gin & tonic, sangrias, wines and beers.